Hello and Welcome to our preview for Sri Lanka vs South Africa Test match. 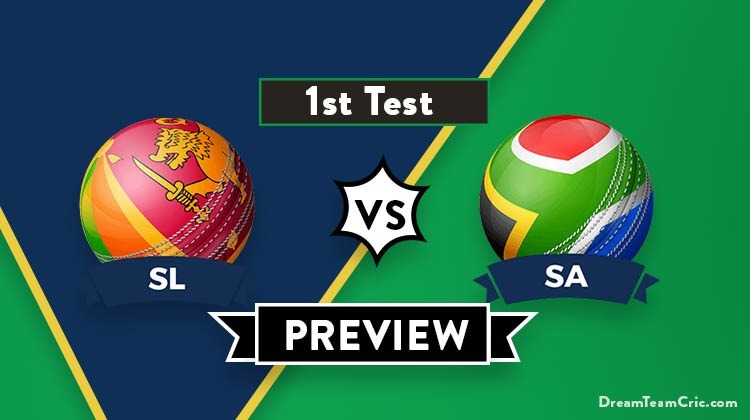 We are covering SL vs SA Dream11 team Prediction, Preview and Probable Playing XI for the first Test match. The match is to be played at the Kingsmead, Durban. This will be a mini-Test series between South Africa and Sri Lanka which consists of only two Test matches. Sri Lankan cricket is once again in a turmoil and none of the Tests are expected to last for full five days. A weaker Australian side defeated Sri Lanka comfortably and this South African unit is likely to run through the Asian team. Sri Lanka has lost 11 out of 13 Test matches they have played in South Africa. Their current situation is miserable. Angelo Mathews is injured, their frontline fast bowlers are down due to injury and Dinesh Chandimal has been dropped. They are a side in a mess. It will be a spectacle if Sri Lanka can pull themselves up and give a fight. South Africa is placed comfortably. They are fresh from a Test series win against Pakistan at home. South African bowling unit is in a phenomenal form and Duanne Olivier was the new find in the Pakistan series. The home side will be hoping to defeat Sri Lanka comfortably and start preparations for the World Cup. Last Test match here was played between Australia and South Africa in March 2018. Australia won by 118 runs. Keshav Maharaj had picked up nine wickets for SA. Dinesh Chandimal, Angelo Mathews, Dilruwan Perera, Roshen Silva, Nuwan Pradeep, Lahiru Kumara are some of the names who will not be playing in this Test series. 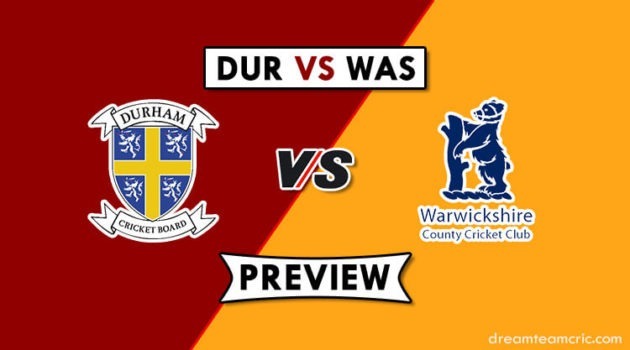 Opener Dimuth Karunaratne will be captaining the side. Lahiru Thirimanne will be his opening partner. Kusal Mendis and Kusal Perera are likely to occupy the middle order. One of Milinda Siriwardana or Angelo Perera (recently scored two double-centuries in one match) can find a place. Dhananjaya De Silva is expected at be at sixth position. Niroshan Dickwella will be the wicketkeeper with Lakshan Sandakan as lead spinner. Suranga Lakmal, Vishwa Fernando and Kasun Rajitha should complete the pace attack. Faf du Plessis returns to the team after serving one Test ban. He is likely to replace Zubayr Hamza in the playing XI. Dean Elgar and Aiden Markram shall open the inning. Amla and Du Plessis shall solidify the middle order along Temba Bavuma. Faf du Plessis hinted that Keshav Maharaj will play. There are also chance that Wiaan Mulder can test debut. South African all pacer is in very good form so it is very hard and tricky decision that whom they dropped. Dimuth Karunaratne (c), Lahiru Thirimanne, Kusal Mendis, Kusal Perera, Milinda Siriwardana/Angelo Perera, Dhananjaya de Silva, Niroshan Dickwella (wk), Suranga Lakmal, Lakshan Sandakan, Kasun Rajitha, Vishwa Fernando. Dean Elgar, Aiden Markram, Hashim Amla, Faf du Plessis (c), Theunis de Bruyn/Wiaan Mulder, Temba Bavuma, Quinton de Kock (wk), Vernon Philander, Keshav Maharaj, Kagiso Rabada, Dale Steyn/Duanne Olivier. Captain and Vc choices: H Amla, D Elgar, Faf du Plessis, V Philander, D Karunaratne, K Mendis. 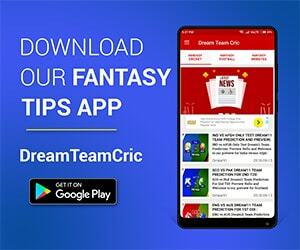 If you liked SL vs SA Dream11 team prediction, then follow us on Twitter for Latest Cricket News and Grand Leagues Teams. Pranob ji, where are you bro? Missing your match analysis and small League team. Please vai at least small League k team hi de do.